The difference between success and failure begins by choosing the right niche for your business. Many decisions are made in business, this is vital. It's like choosing where you build your house. Few decisions have such a direct and vital impact on a lifetime of business like this. The same will happen when you want to develop new products. Choosing the niche market is choosing the profile of the customer you want to attract with your product and your service. We will give you some guides to help you make this decision that will succeed the whole life of your company. Have you ever wondered why some people fail dramatically in the same businesses where others have spectacular success and create real empires? Choosing the right niche market is one of the answers. The term "Niche Market" is used in marketing. It refers to a distinct portion of a larger market segment. Within the niche market, people have similar characteristics and needs. The entrepreneur chooses a niche market and looks for in it the needs that are not being satisfied, or that those who are trying to do it. Look for opportunities for fulfill needs. A well-defined portion of a market segment. It is a small group of people, organizations or companies. Their particular needs are similar, at least in some respects. Those who make up the niche market are willing to meet those needs. They have the economic capacity to pay and thus satisfy their need. To meet those needs requires a company with the ability and expertise to organize its operations to do so. There are few or no company at this time adequately meeting that need. The size of the niche market is sufficient to generate an attractive sales and earnings volume for the specialize: that serves it. Where are the profits of a company? The profits of a company are in the niches of the market. Businesses that want to make handsome profits for their firms should specialize their operations in niche markets, better yet in a single market niche of sufficient size. When you think of a business idea, which itself is the worst argument for starting a new business, look and think first what will be your niche market. When you find it, research and analyze your needs, then develop a business that satisfies that need better than anyone else. Serving all markets is impossible. A niche market can be a nicely delimited place or territory, which could be described by location within a sector of your city. For example: "The inhabitants of zone 14 in block 24 of the West of your capital". It could also be identified as a group of people from a profession. For example: "Agricultural engineers under 40 years old". Never go out and build a new business if you have not clearly defined your niche before. It is more important than many beginners can imagine. Give yourself the right to have opinions, thoughts or actions. And apprehend them without denigrating them or denying them. So, every day, we force ourselves to give our opinion in a conversation, even if it goes against what others think, and even if we imagine that it has no interest. Try first in small circles, for example in a family. Then, when you feel more comfortable, express your opinion in front of your friends. Last stage: at work, in front of colleagues during a meeting. Competition in the market segments is vast, in niche markets competition is much more selective. A specialized and focused company may be able to create barriers that prevent others from entering your niche. You located in a sector of your city with sufficient density of population, and you open a supermarket of the appropriate size to satisfy the needs of that market niche. They can be six blocks around. It can be a group of condominiums in this sector. If you do well, if your customers are satisfied and you have developed their loyalty, it is almost impossible for a competitor to enter the same sector. The opponent knows that would have to invest a lot of money for a place there and ultimately sales volume that can rescue will not be attractive to him. 1. Determine what your skills, your abilities. First determine what your strengths, abilities, talents and resources are. If you are an entrepreneur, this applies to you as a person. If you have a business, do the analysis for the company as an entity that already has a life of its own and is offering products and services. If you are going to do it geographically: a region, a country, a city, a sector of a city, etc. You may want to specialize by people: men, women, children, youth, university students, professionals, workers, etc. You may want to specialize in customer size: big business, small businesses, wealthy families, middle-class families, etc. You may want to specialize by type of product: cleaning products, food, medicines, technology products, health care products, etc. You may want to concentrate on quality and price: consumer products with short shelf life and low price; Or select products of very high quality and very expensive; Or products that are sold to significant volumes with very high marginal profit, but whose sale is in small quantities. Think about the auto industry; there are plenty of examples there. You may want to specialize in services, look for products that are positioned not by price or quantity, but by the service that accompanies them: for example, CCTV services. You might decide on the channel you will use. For example, you can choose businesses whose product on in their own premises and the customer comes to buy them, or products that are sold door-to-door like direct selling companies, or can be products that are only available online or through Of referrals. 3. Measures the potential of the chosen niche market. 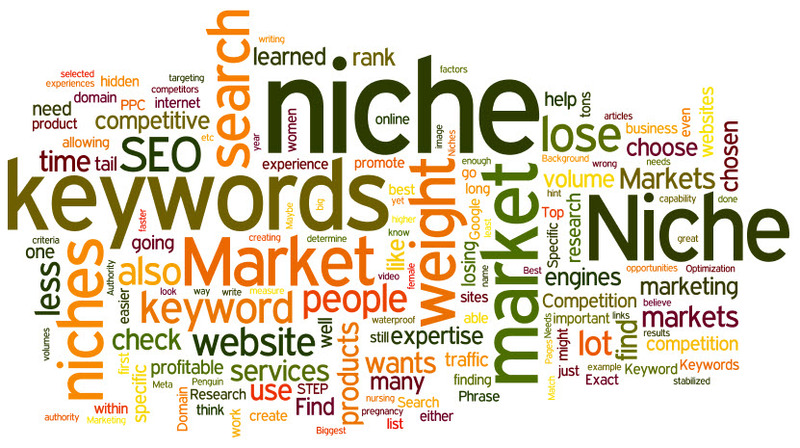 Research, analyze and select at least three niche markets with the apparent appeal. You should ask these questions for each of the selected niches and try to ensure that they are not your assumptions, but that the data you write are based on a thorough analysis and in-depth investigation. Do members of that niche have a real desire or need to buy that product or service? Is there really the need or do you have to invest in creating it? How unhealthy is that niche? How many companies or people are attending it right now or do they want to do it? What is the size of that market? Is that size enough for another company and to generate enough sales that make the profits that will require investment in the business? What is the level of risk or volatility that the market has? How easy or expensive is it to enter that market? What do you think will be the immediate or medium-term reaction that the competition will take before your company enters that niche market? What is the purchasing power of the members of that market? Is it a new or newly established market? For example, if your choice was geographic, investigate how long that group of people exist, there is frequent rotation in the inhabitants, or rather it is families that have many years of living in the same area, are older people or are young people. Analyze what the neighbors of that sector are dedicated to. What are the habits and customs of the members of that market, their values, their preferences, their culture and religion? All this data is valuable. 4. Decide if you are able to serve the chosen niche market. Is it a niche that is easy to reach and serve, because of its location or other unique features? Do you know what the costs of serving this niche market will be and if the potential sales are attractive enough to make that investment and generate profits? Should you establish additional investments to those you already have to venture into that niche market? Should you develop new marketing channels to reach them? Will your operating costs in that niche market be lower, equal to or greater than those of the competition? Will this new niche affect the operations that your business already has or what it is currently doing? Will you be able to better serve the needs of your niche than the competition? 5. Analyze the future of that niche market. How stable in time is the niche market you have chosen? Is it a mature or very young market? Will your company be flexible enough to adapt to any changes in your niche market? How much will it cost you to refocus or redesign your products or services when circumstances warrant? What is the probability that your niche will be depleted, stagnant or extinguished? 6. Are you going to feel comfortable taking care of this niche market? This is a very subjective point, but it also has relevance and impact on the success of your business and your personal satisfaction. Nothing better than dedicating ourselves to what we like. What we like has to do with the people we serve and the products we offer. So give this last advice ahead too. And remember ... Change everything changes! Apply these six tips. You will be taking one of the most important decisions in your business career. Buy other businesses in progress. Make more investments in your business. Increase your profits, when sales do not increase. Choosing the right niche market is the difference between success and failure. You will see! If with this article, we have made you think that the decision to undertake can not be born from a simple idea or a hunch, we have already achieved enough. Everything changes, says the song. Market niches can also change, evolve or disappear. You must have sufficient flexibility to detect those changes and to adapt your business.